When you put your home on the market, take note of these helpful suggestions to give you a great head start and get the best possible outcome from your inspection. Your house will be in top shape for the new owner. 1) Repair anything that is broken and remove any signs of previous repairs. If you had a water leak under your sink that has been fixed, make sure the bottom of the cabinet does not have water stains. If you repaired something behind a wall, make sure the wall patch blends in perfectly to the existing wall. If you repaired something under the grass in your back yard, make sure the grass has been replaced so there are no signs of any repairs. If you do a repair to your home, make sure to do a permanent repair, not just a temporary fix that might cause concern with the home inspector. 2) Make sure there are no bugs or insects in or around your home. Treat for ants and other bugs several days before the home inspection. Make sure there are no ant beds, spider webs, or any other signs of current or previous bug issues in your home. 3) Make your entire home accessible to the home inspector, such as leaving a pet in a certain room and asking for the home inspector to not to enter the room. 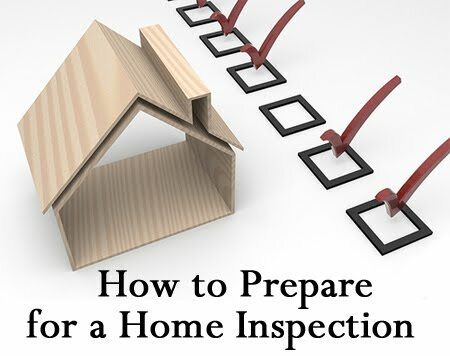 If the home inspector can't access an area, he/she can't do a proper home inspection. The inspector and potential buyer may be concerned that you are trying to hide something. 4) Clean your home well before the home inspection. An unclean home is not a well maintained home, which will cause concern for the potential buyer. Make sure to clean inside your closets, inside your appliances (especially the microwave), your baseboards, your window blinds, your light fixtures, and everywhere else that may not get cleaned every week. Always install fresh air filters in your return air vents before the home inspector arrives. Do not use strong fragrances inside your home because it may seem that you are trying to disguise a foul odor. 5) Do not try and conceal or disguise anything from the home inspector because this is unethical.